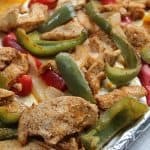 These low carb and keto friendly sheet pan chicken fajitas have quickly become a family favorite of ours. Sheet pan meals are everything! Seriously, you can’t beat how easy the prep and clean up is! The recipe comes together in a flash and your whole family will love it! The ingredients are super clean and simple. 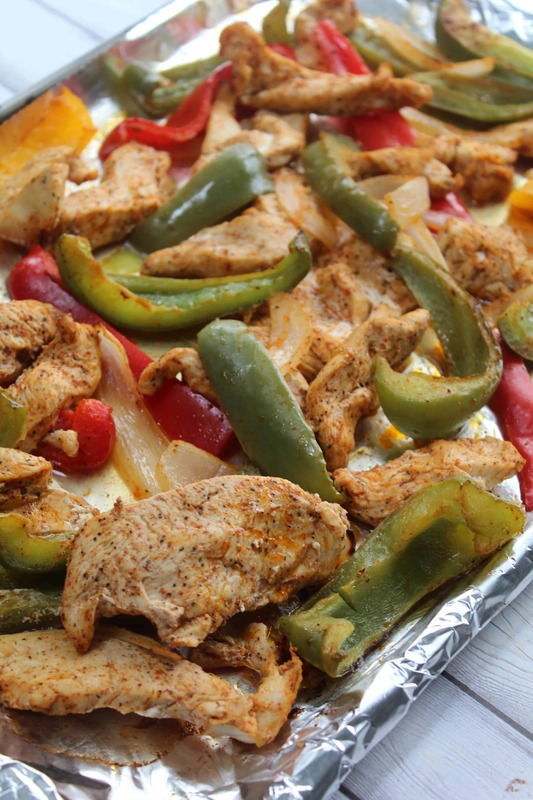 These sheet pan chicken fajitas are low carb, dairy free, and whole 30 compliant. These are also super easy to throw in a wrap or add some rice for any family members who are not watching their carbs. 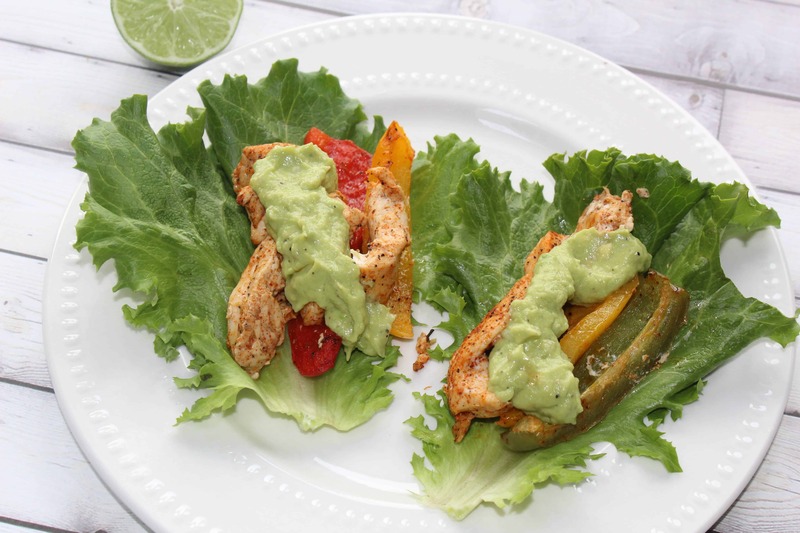 This recipe is super adaptable so feel free to use any color combo of bell peppers or swap out the chicken for an another type of protein. It would be great with steak or shrimp too! 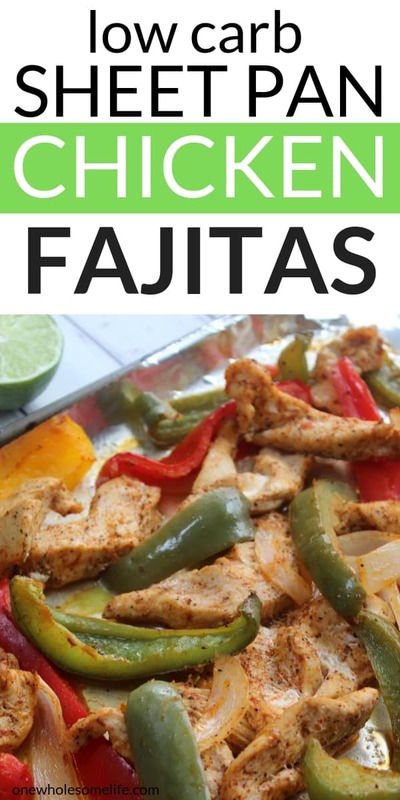 Traditional Chicken Fajitas are pan fried and these are oven baked but I promise they are just as delicious! These are the PERFECT dinner for those busy week night meals. For easy clean up line a baking sheet with some foil or parchment paper. You can mix the chicken and veggies with the marinade right on the baking sheet – no need for a mixing bowl! Winning! The chicken, onion, and peppers are marinated in a very simple marinade of olive oil, fresh lime, cumin, garlic powder, chili powder, and salt. Such fresh and simple ingredients! Pro tip- most grocery stores sell precut mixtures of peppers and onion right in the produce session if you want to save any more time. The chicken and veggies mixture is baked in a pre heated onion at 425 for about 20 minutes. I flip everything about halfway throughout with a spatula. Last but not least, the real prize in this recipe is the vegan avocado crema! It is made with avocado, coconut cream, fresh lime, avocado oil, and some spices. Have you guys tried avocado crema yet? It is such a delicious topping on just about any Mexican dish. 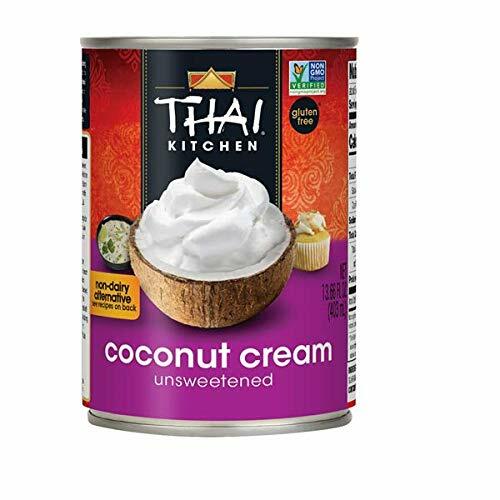 If you haven’t cooked with coconut cream yet – it is a delicious and healthy dairy free alternative to using milk or cream. It is usually in a can and can be found at your grocery store. 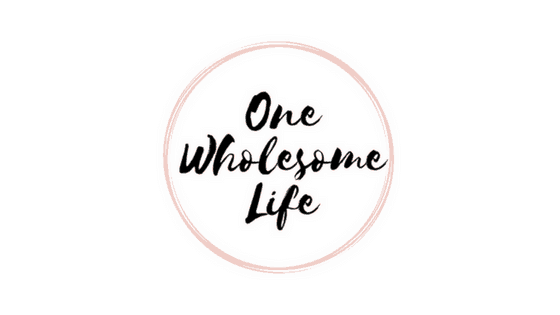 You can also order it on Amazon HERE. 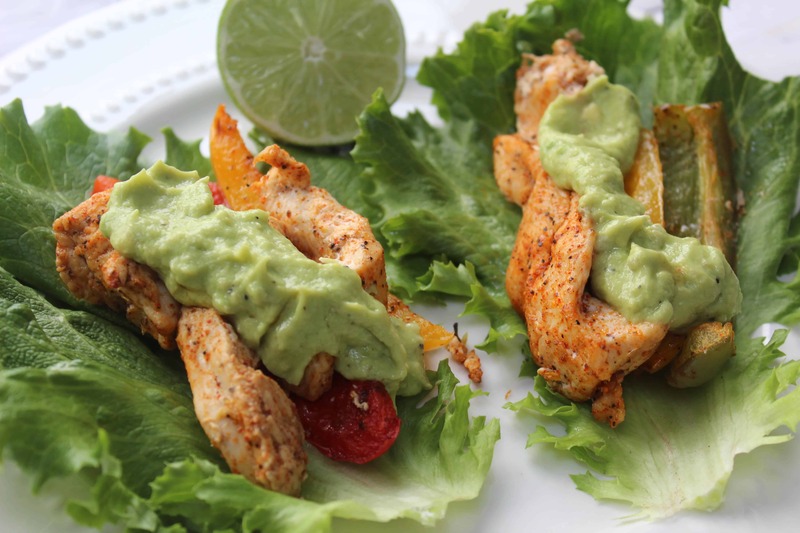 I love serving these in lettuce wraps for a low carb option. You can also serve with cauliflower rice, white rice, or the traditional tortillas. Quick and easy family friendly recipe! Chicken, bell peppers and onions are tossed with a delicious marinade to get this dinner on the table in no time! Preheat oven to 425 and line a baking sheet with foil or parchment paper. In a small bowl mix together the olive oil, cumin, garlic powder, chili powder, salt, and juice of half a lime. 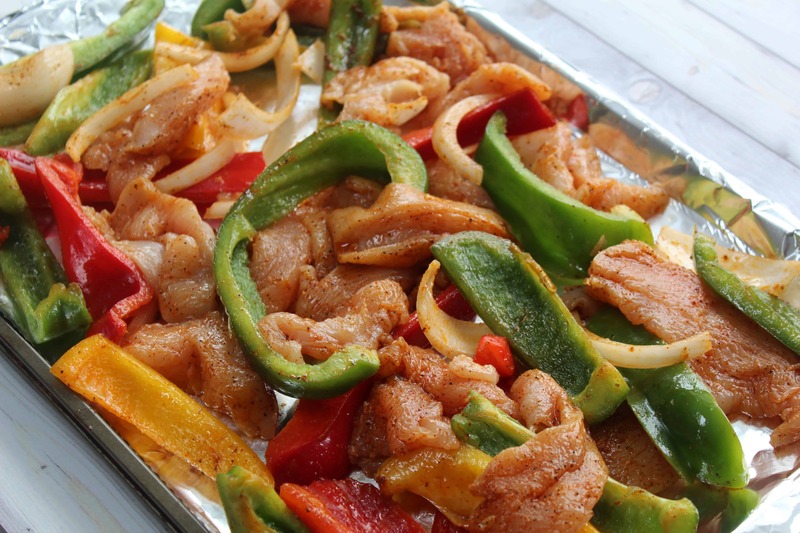 Toss the marinade with chicken, onion, and peppers on prepared baking sheet until evenly coated. Bake in preheated oven for 20 minutes - tossing halfway through. While the fajitas are cooking making the avocado crema. 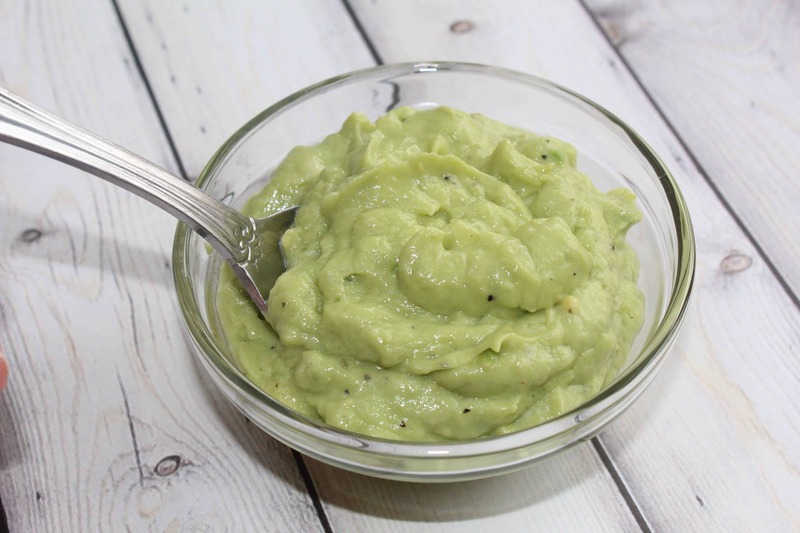 Add 1/2 avocado, coconut cream, lime juice, avocado oil, salt, pepper, and garlic powder to a blender or food processor. 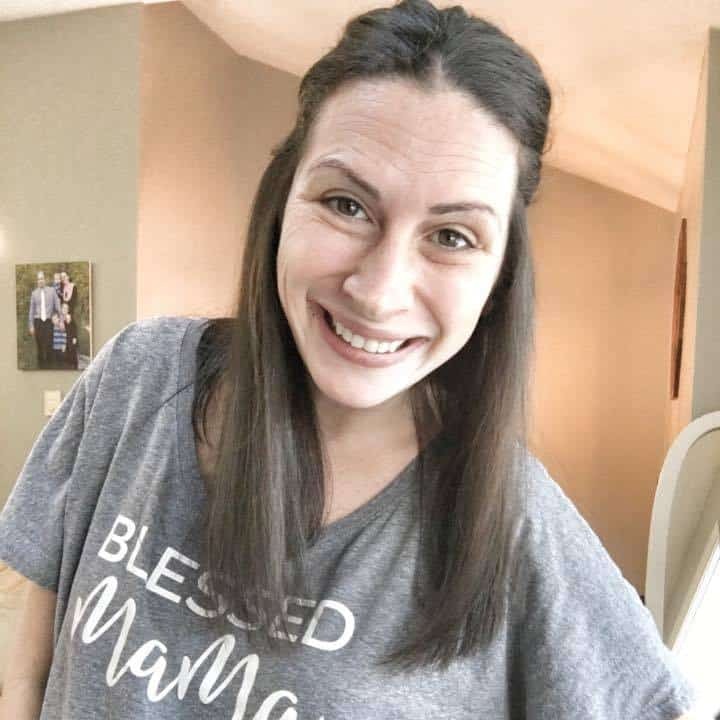 Blend until smooth.